"Crowdsourcing experiments that allow us to analyse how people interact with computers on a large scale are instrumental for identifying solution principles for the design of next-generation user interfaces," said study co-author Dr. Per Ola Kristensson from Cambridge's Department of Engineering. 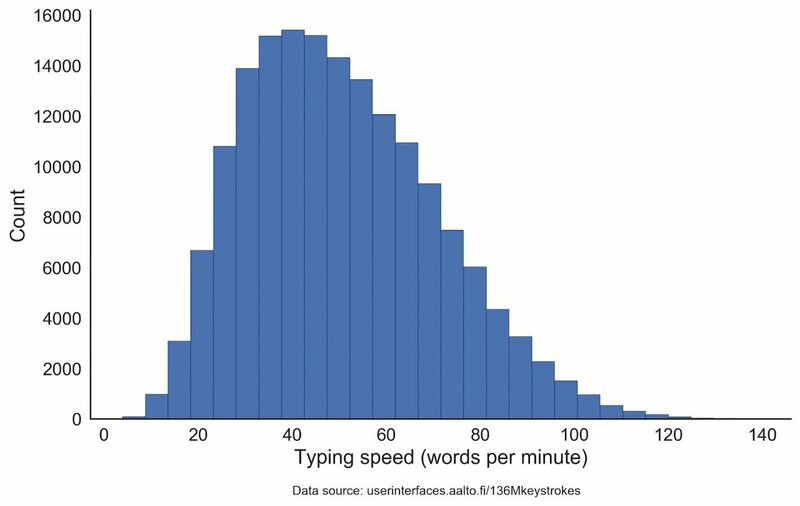 The average user in the study typed 52 words per minute, much slower than the professionally trained typists in the 70s and 80s, who typically reached 60-90 words per minute. However, performance varied largely. 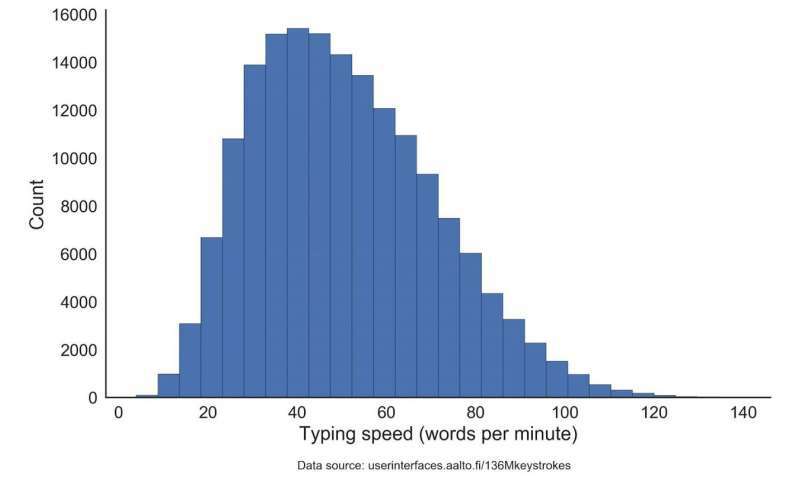 "The fastest users in our study typed 120 words per minute, which is amazing given that this is a controlled study with randomised phrases," said co-author Dr. Antti Oulasvirta, also from Aalto. "Many informal tests allow users to practice the sentences, resulting in unrealistically high performance." The researchers found that users who had previously taken a typing course actually had a similar typing behaviour as those who had never taken such a course, in terms of how fast they type, how they use their hands and the errors they make—even though they use fewer fingers.